Why do I need a Living Will? – Chafin Law Firm, P.C. *For Informational Purposes Only – This article should not be construed as legal advice. The need for a living will is an issue which will probably affect all adults, either personally or through a family member. While the term “Living Will” is commonly used, the concept may not be as widely known. In a nutshell, a living will is a legal document in which a competent adult gives written instructions concerning the providing, withholding or withdrawal of life-prolonging procedures should a terminal condition exist. 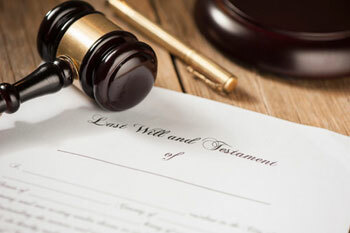 A living will can detail the amount of care a person would want; could appoint an agent to act on your behalf should you become incapacitated and could give a person power of attorney. A living will is a very flexible document which reflects an individual’s personal choices and religious beliefs. It also gives guidance to the physician and family members. While most people do not like to think about being in a situation that could use a living will, it is a simple fact of life that needs to be addressed. It is not difficult to imagine the costs and emotional turmoil that a life support machine can put upon a family when a loved one has no hope of recovery. With a living will, the burden of making tough decisions is eliminated. For more information on this topic please feel free to call our office to schedule an appointment with one of our attorneys. You will receive an assessment of your own personal needs.